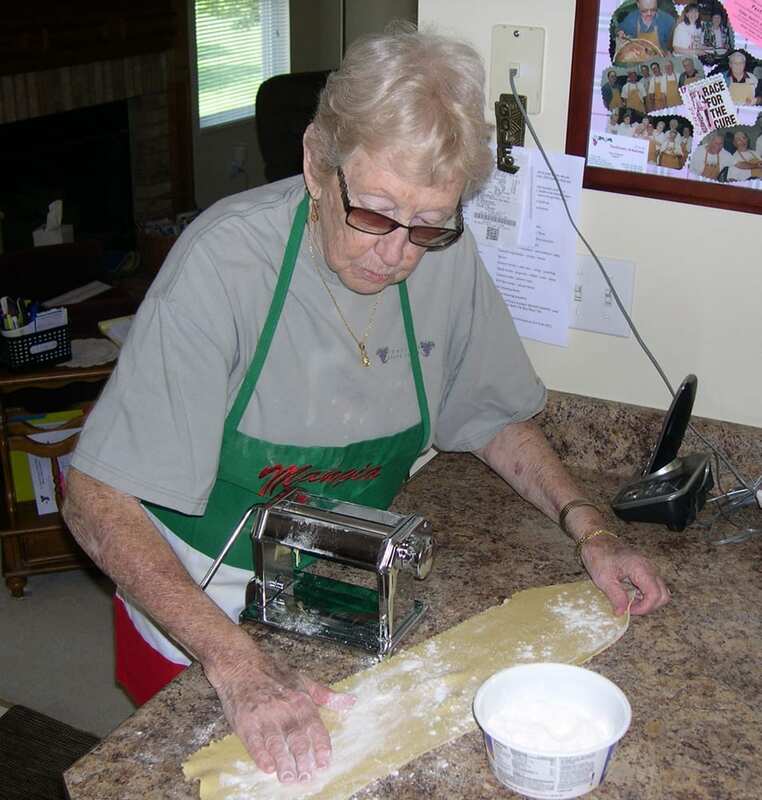 Nova Jean Fiori Watson flouring a rolled-out sheet of pasta, May 2018. Ravioli was on my mind during a phone conversation with Nova Jean Fiori Watson. That’s not why I called her, but as we finished our business I had to ask, “Did your mother make ravioli?” I was curious because I have a circle of friends who love to cook and our next project together was ravioli. Nova Jean has a life-long love of the Italian food she grew up with. Her paternal grandparents were Maria “Mary” Cortiana and Pietro “Pete” Fiori. 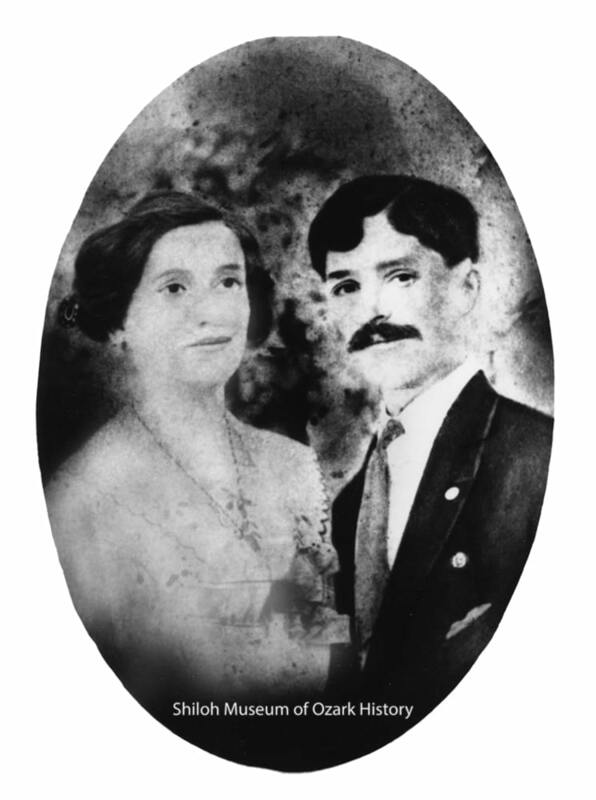 Born in Italy, they came to Northwest Arkansas as young children in 1898 with their families and other Italian settlers, under the leadership of Father Pietro Bandini. 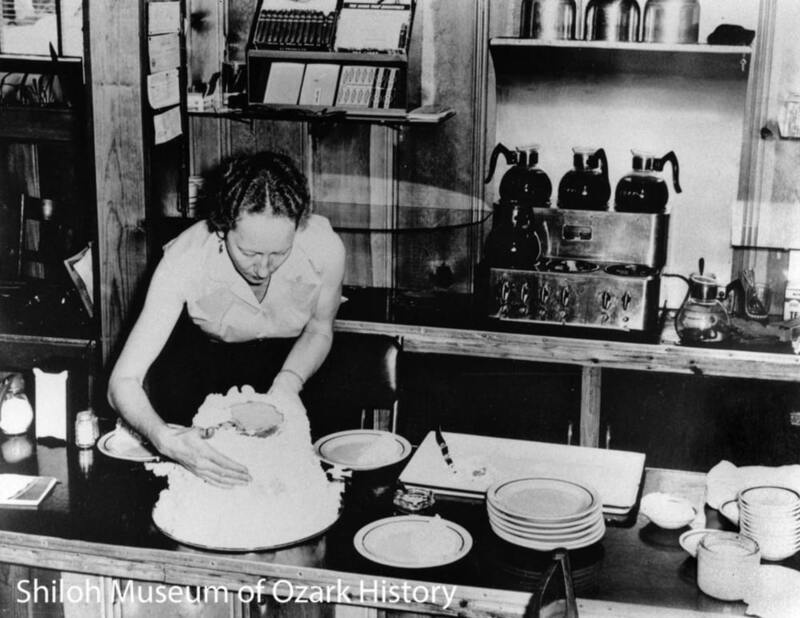 Together these immigrants founded the farming community of Tontitown, west of Springdale. I think Nova Jean and I are kindred spirits in the kitchen. Not just the joy of cooking, but exploring and cherishing the memories and histories behind the recipes. One of the other Italian foods she’s researched is a sweet bread made at Easter, locally known as fugase. 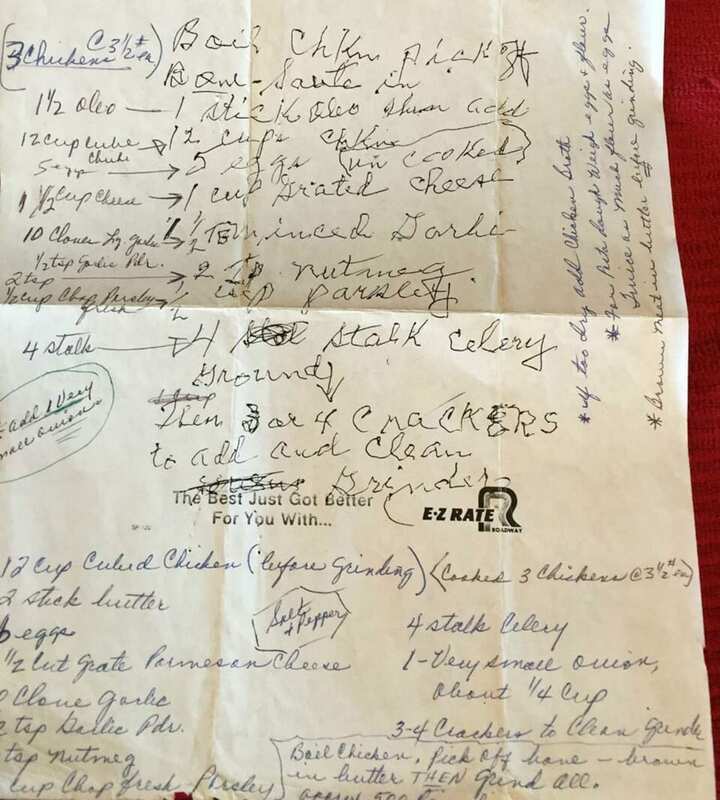 In the early 1990s she collected recipes from several Tontitown ladies including her paternal aunt, Elsie Mae Fiori Pianalto. Maybe Nova Jean and I can get together to make bread someday. Until then, I’ll enjoy making chicken ravioli. Here’s the recipe, so you can taste a bit of history, too. Buon appetito! Fern Haney Fiori’s recipe for chicken ravioli, with Nova Jean Fiori Watson’s notations, 1992. Courtesy Nova Jean Fiori Watson. This is Nova Jean’s version of her mother’s recipe, scaled down from the three chickens it originally called for. Serve the cooked ravioli with a bit of red sauce (marinara) or en brodo (in broth). Makes about 56 ravioli or four meal-sized servings. Add the cheese, nutmeg, salt, and pepper to the ground mixture and blend thoroughly. Taste and adjust the seasonings, as needed. Add the egg and one tablespoon or two of broth or water to make a loose, but not wet, mix. To make the pasta dough, place the eggs into a large bowl and whisk with a fork. Add the flour and mix until the dough comes together into a shaggy ball. Squeeze some of the dough in your hand to see if it holds together. If so, knead the dough on the counter for a few minutes until smooth. If not, for a crumbly dough, add a little chicken broth or water. For a sticky dough, add a bit of flour. The proportion of egg to flour is 1:2 (one part egg by weight, two parts flour by weight). Roll out the pasta dough into sheets and form the ravioli, using a tablespoon of chicken filling per raviolo (the singular form of ravioli). Cook the ravioli in simmering chicken broth for 3-7 minutes, until the pasta is al dente. Serve the ravioli with broth or with a red sauce. Garnish with parmesan cheese. 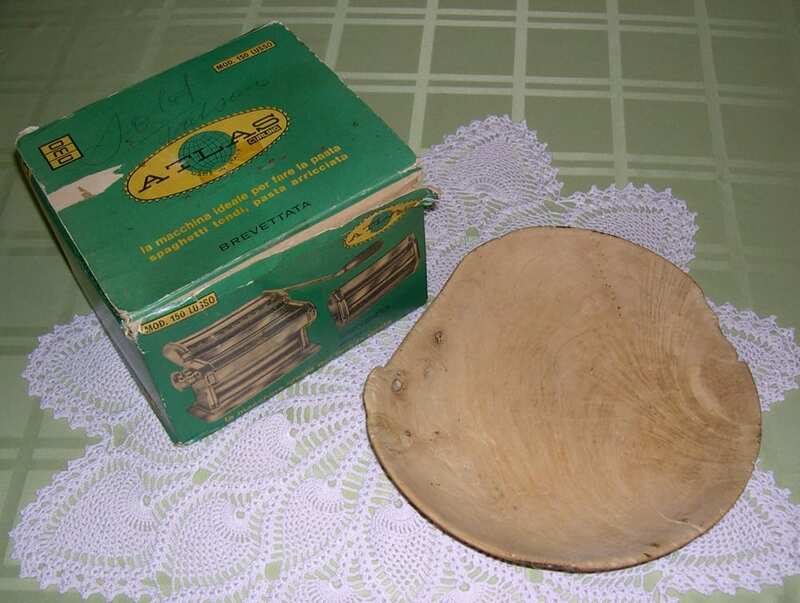 Nova Jean Fiori Watson’s Atlas pasta maker, bought in 1960, and the well-worn dough bowl that belonged to her paternal grandmother Maria “Mary” Cortiana Fiori. NOTE: There are plenty of recipes and videos on the Internet for making chicken broth and red sauce (marinara), rolling out pasta dough, and forming ravioli.